Every divorce is different. You need an attorney with an understanding of all aspects of family law to capably guide you through the process. The team at Lopez Law Firm, PLLC, has the right combination of knowledge and skill to manage whatever your situation presents. 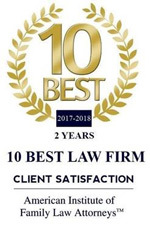 Our qualified legal team has years of experience assisting clients with divorce, child custody, child support, alimony and parent relocation matters in Washington, D.C. We have handled dozens of individual family law cases, each with its own unique challenges. We can help you navigate a variety of special circumstances, including pre- and post-nuptial agreements, domestic violence, civil protection orders and modifications. We put in the time and energy needed to get the resolution you want. Put our experience to work for you. Contact us today for a free consultation. Website By 270net Technologies Scroll back to the top. Thank you for taking the time to reach out. Please fill out and submit the form below with all relevant information and we will be in touch! Any additional questions or relevant items?